For your own safety and the safety of passengers and the general public, we ask that you talk to us initially about filming on the Luas or at a Stop. On the application form there is a series of guidelines and safety instructions. There is a section marked permit Number. 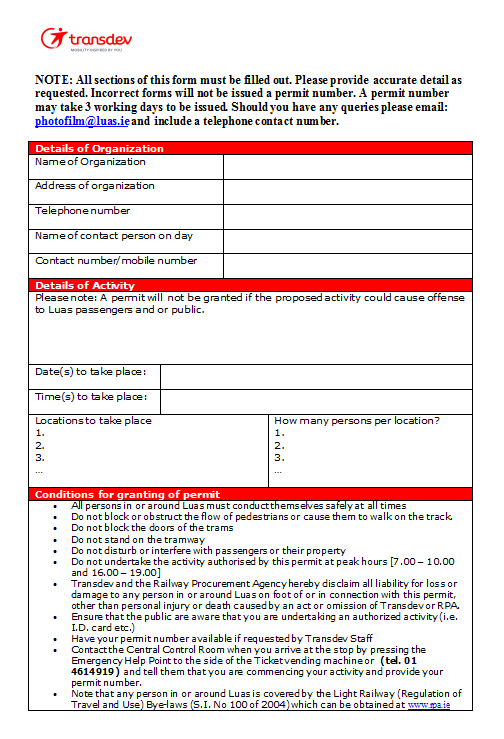 A permit number must be obtained from Transdev before you begin filming on board or at a Stop.